The Miami Marlins will join Major League Baseball in funding a nonprofit Urban Youth Academy in Miami-Dade County, a team spokesman says. The academy would fulfill a 2007 promise from the Marlins that helped cement public funding of almost $3 billion for Marlins Park. The location of the academy and the funding agreement between the team and the league have yet to be firmed up, Jason Latimer, Marlins vice president of communications and outreach, told Miami Today last week, but ownership’s commitment to the project is firm. He noted that CEO Derek Jeter had visited the league’s prototype academy when the Marlins played in Los Angeles last year. “For us it’s about the youth, investing in the youth of this community,” Adam Jones, Marlins senior vice president of strategy and development, told the Greater Miami Chamber of Commerce’s South Florida Economic Summit last week during a panel discussion in which he outlined the organization’s aims. Asked later by Miami Today for details of the academy, Mr. Jones said that the organization has been talking with the county and multiple cities about a location and it is getting close to pinning down a site. On Friday, Miami Mayor Francis Suarez told Miami Today that he has been contacted by Marlins executives about a site. Off the record, he cited several possible locations. A site has been a stumbling block for Major League Baseball from the outset. Multiple locations in Hialeah were chosen, but the deals fell apart. Other locations also failed over the years. None of those deals publicly mentioned funding by – or even the participation of – the Marlins, then owned by New York art dealer Jeffrey Loria. 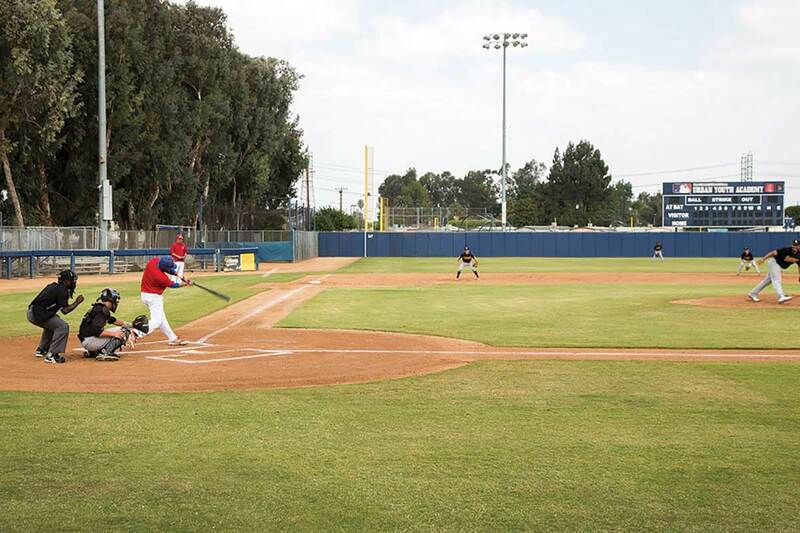 Major League Baseball established the first of the academies in Compton, California, in 2006. The Miami academy was announced with the intent to be the second, to open before the publicly funded Marlins Park, which has been in use since 2012. The league at the time pledged $3.2 million to construct the academy. Since then, the league has opened academies in seven other cities and announced plans to build three more: in the Bronx, Chicago and San Francisco. There has been no formal announcement since 2009 of an academy in Miami and it no longer appears on the academies’ web site. But the league has a “strong interest” here, Tony Reagins, MLB Youth Programs senior vice president, told Miami Today last July. Progress has been slow. The “status is unchanged,” Steve Arocho, a league spokesman, wrote in September. The academies program has been geared to encouraging more minorities to participate in baseball, which in recent decades has been eclipsed in popularity – particularly among black youths – by basketball and football as paths to success as adults. ■Prepare urban high school players for college and professional careers. Physical aspects of a new academy are expected to include multiple baseball fields, batting cages, grandstands, a weight room, locker rooms, a clubhouse and office space for training young players and umpires, groundskeepers and stadium managers. It doesn’t matter if Loria no longer owns team. $3 billion in taxpayer subsidies is enough. Make them pay market value and property taxes. Once that demand is made the Marlins will no longer be interested in starting an Academy.